If you want to play poker with us, you'll first have to download the free Paddy Power Poker software (which should have automatically started downloading while we've been talking). If the automatic download hasn't already begun, simply click the 'Download' button bellow and follow the set-up instructions. You can also refer to our "Download and Install" guide if you need further help. If you've played with us before you can login using your existing Paddy Power username and password. If you're new here, you can quickly set up an account by clicking the - wait for it - 'Open Account' button. Surprising eh? Just complete the registration form and you'll be on your way in no time. To deposit funds into your account, simply click the 'Cashier' button (bottom right) and chose from the various payment methods. 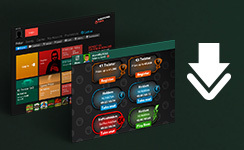 You can also transfer funds into your poker account from your wallet. We no longer accept Luncheon Vouchers (truth is we never did; forget I mentioned it). You're good to go! 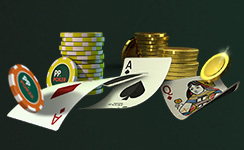 Start hitting the tables to earn your Welcome Bonus. If you're new to the game or just need a refresher, read our "How to play" guide.